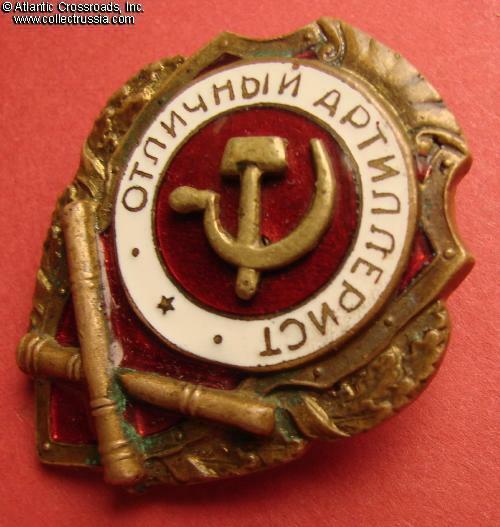 Excellent Artilleryman badge, first version with superimposed hammer & sickle emblem, circa 1942. 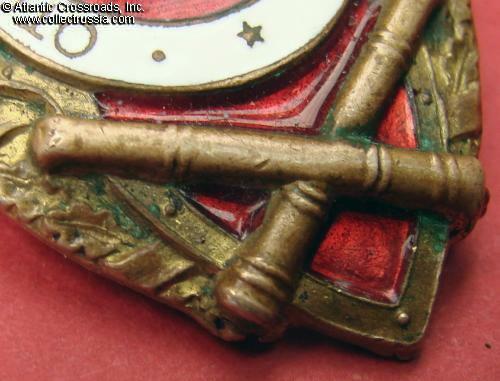 Brass, enamels; 44.5 x 36.5 mm. 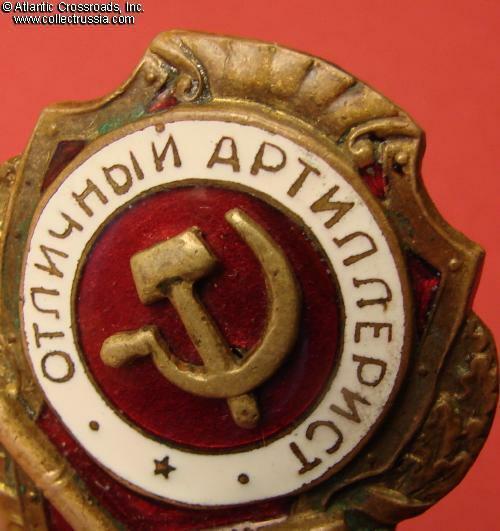 Features superimposed hammer & sickle emblem attached by wires. 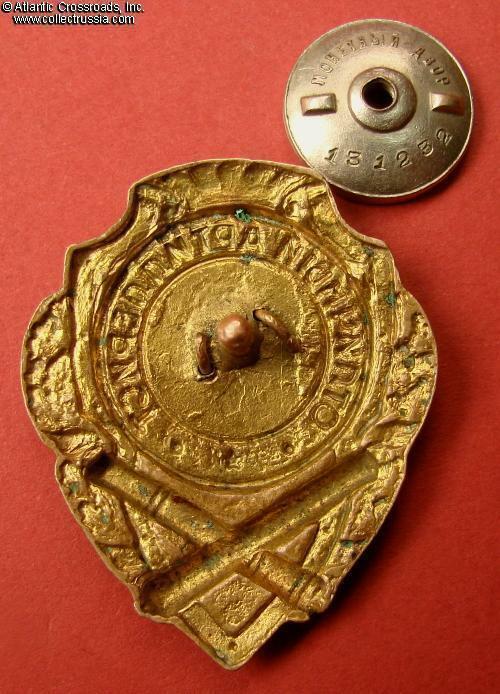 The enamel is of extremely fine quality, much nicer than a typical combat proficiency badge produced later during the war. The field under the enamel is smooth. Only three badges of the "Proficiency" series - Sniper, Machine-Gunner and Artillery Man - have a two-piece version. They were manufactured very early on, most likely for less than a year after the start of production in mid-1942. 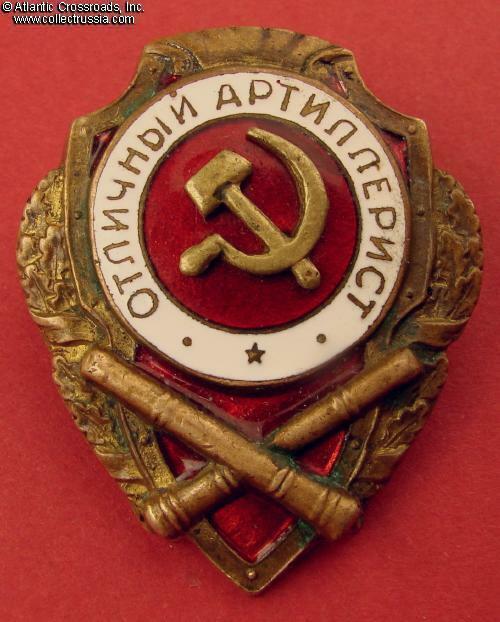 The badge is in outstanding, excellent condition - almost unheard of for a Type 1 combat proficiency badges with superimposed hammer & sickle. The enamel is perfect and retains all of its trademark translucency and luster. 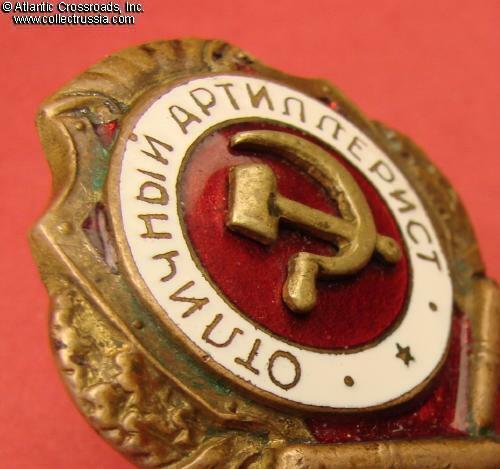 The hammer & sickle emblem is firmly affixed; the attachment wires are original and intact. The wreath and cannon show only minimal tarnish and light verdigris, while their details are nicely preserved and crisp. A good amount of original fire gilt finish is clearly visible in recessed areas of the wreath. The gold plating on the reverse is exceptionally well preserved, almost pristine. 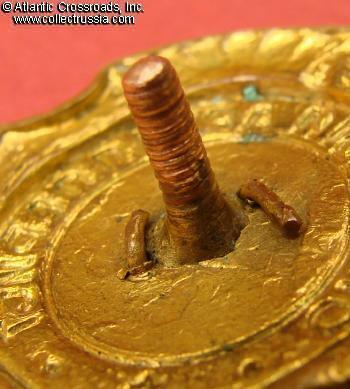 The original copper screw post is full length, approx 10.5 mm. 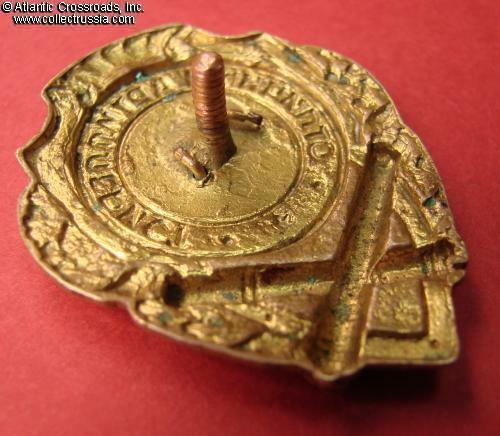 The mint marked and numbered screw plate is of the period and fits the badge perfectly; although it is probably not original to this particular badge. 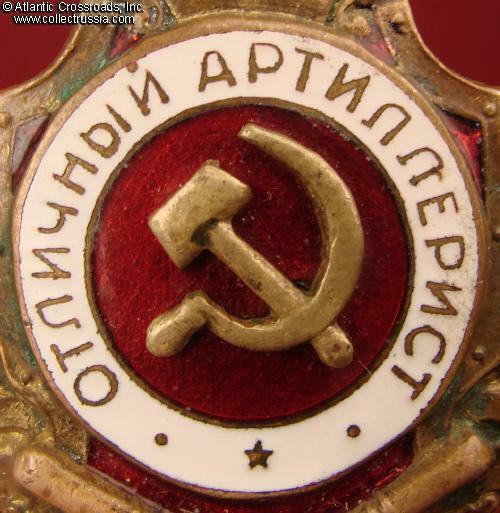 /"Breast Badges of the Red Army, 1941-1945", p. 88, fig. 1/.